confidant SB main kit // this one is pretty simple for me, but once i saw the banners and white stars i knew i wanted to layer them together! 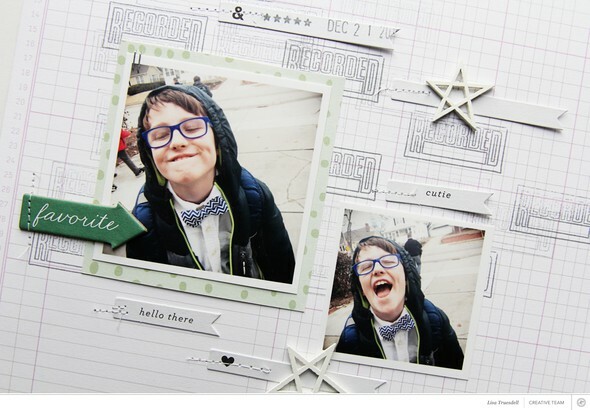 i started the page by stamping a background with the "recorded" stamp, and then layered my photos over the top. i scattered the banners and stars around the main grouping to complete the page.